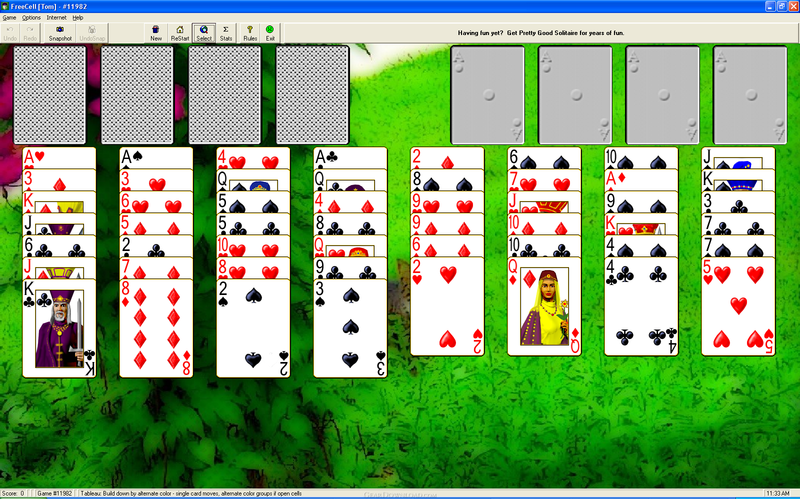 Goodsol Free Solitaire is a solitaire game collection with 12 completely free solitaire games, including FreeCell, Klondike, and Spider. It features lush graphics, large easy-to-read cards, sound, and in-depth statistics. Play full screen with complete undo. This download (freesol.exe) was tested thoroughly and was found 100% clean. Click "Report Spyware" link on the top if you found this software contains any form of malware, including but not limited to: spyware, viruses, trojans and backdoors.